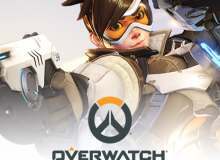 Which Overwatch Hero Best Suits Your Play Style? This quiz is for those who are not sure who to main or just want some reason to chose a new main for the next competitive season or you're an newbie, so these results are just for fun! The results will be in either exact heroes or catagries such as Defence, Offense, Support etc. These are the latest heroes as of May 2018! Like I said, don't take this too seriously. Do you prefer playing in a team or solo? Which of the following do you rely on in battle? What position do you play in in a battle situation? If you were to lose a match what would your reaction be? What personality trait do you like most? What do you hate in a team? How would you resolve a conflict? What do you play on? Do you prefer to rely on the team, or have the team rely on you? Quiz topic: Which Overwatch Hero Best Suits my Play Style?